Stock # 11475, 3.5L V6 EFI DOHC 24V, 8-Speed Automatic, 35109 mi. 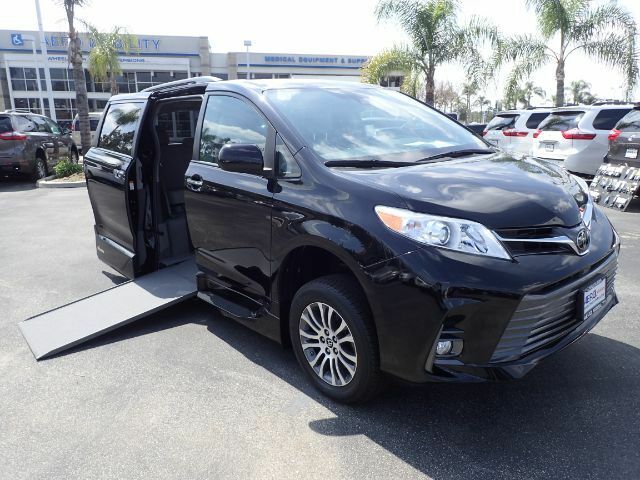 Bold, jet black metallic exterior with soft gray interior makes a statement in this 2018 Toyota Sienna Limited Premium. Equipped in an automatic 29.25" in-floor ramp conversion by Vantage Mobility (VMI). Enjoy soft leather seats, wood-grain accents, steering wheel controls, a backup camera, touchscreen, and a moonroof with less than 40k miles and still in incredible shape.